Five-inch guns, crew-served weapons, Go-Pro small boat ops, MH-60 and fighter flybys: all set to dramatic music. The cruiser Normandy wants the folks back home to know they’ve got things covered in the Gulf. The video, posted on the command’s Facebook page, offers a glimpse into Navy life while deployed to the Middle East, minus the seemingly endless freshwater wash-downs. 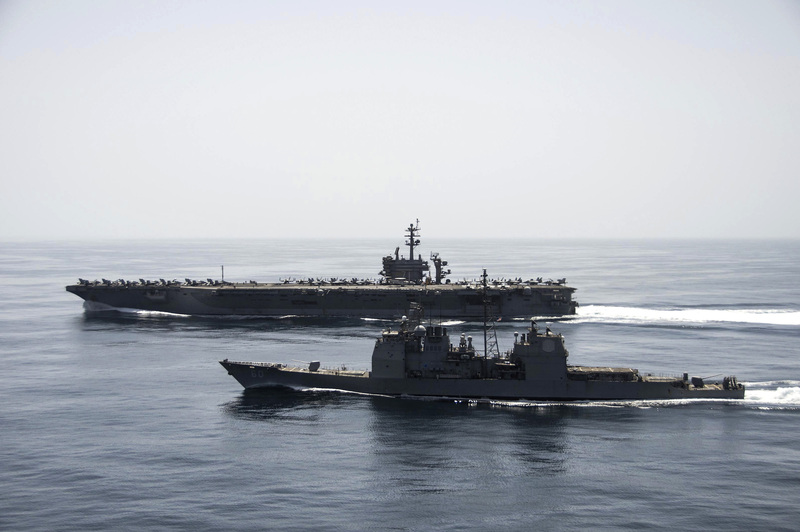 The ship is deployed with the Theodore Roosevelt carrier strike group and is slated to return this fall. The Normandy will left Norfolk this Spring escorting the carrier Theodore Roosevelt to San Diego by way of the Middle East. Then the cruiser will continue on through the Panama Canal and return to Hampton Roads. It is incredibly rare for ships from the East Coast to operate in the Asia Pacific, let alone travel all the way to San Diego and back. You can read all about the deployment here and here.